Cumbria and the Lake District is beautiful, welcoming and very much open for business following the very wet winter and devastating flooding. For group travelers there’s plenty to look forward to including the 150th anniversary of the birth of Cumbria’s favourite girl, Beatrix Potter which is fuelling a sort of Pottermania helped by the discovery of a new story, soon to be published. Tour the National Trust’s properties in the Southern Lakes including Beatrix Potter’s former home, Hill Top, near Sawrey, the Beatrix Potter Gallery in Hawkshead and the beautiful beauty spot Tarn Hows. There are also some lovely special events taking place at various Beatrix Potter venues including a children’s literary festival at Wray Castle, new guided walks and a special birthday party on 28th July. 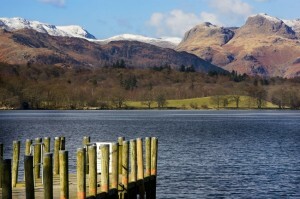 Tour More and See More of Cumbria.. In terms of group travel, one of the success stories has been the Discover Hadrian’s Wall’ tour, which will be returning for 2016. Departing from Carlisle, the historic capital city of Cumbria, two separate ‘Discover Hadrian’s Wall’ tours will take passengers to some of the key locations along the most significant monument built by the Romans in Britain. See More has also supported the development of the ‘Cumbria4Coaches’ brand, which offers essential information to coach operators. 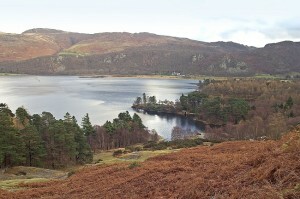 www.cumbria4coaches.co.uk brings together all the basic information that group travel organisers need to inspire a diverse range of themed visits – including arts and culture, history and heritage, food and drink, and the great outdoors. 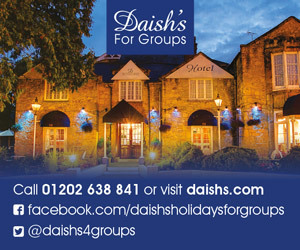 The website lists contacts for attractions, accommodation, and food and drink businesses who welcome group visits. The award-winning Lakes Distillery Company opened in December 2014 in The Lake District National Park with the vision of producing a world class single malt whisky and a global brand that is recognised and respected around the world. Since creation, The Lakes Distillery has expanded its portfolio of products and is now producing the award-winning The ONE blended whisky, The Lakes Gin and The Lakes Vodka, alongside interactive distillery tours and the highly acclaimed food and drink offering, Bistro at the Distillery. The essence of The Lakes Distillery brand is one of beauty, honesty and a heartfelt sense of place. The highly experienced team, experts in their field, are passionate about producing the best quality spirits and customer experiences. Discover how they make their whisky, gin and vodka, and why the location for The Lakes Distillery is so very special. The tour takes you on a spectacular 25 mile journey from the source of the river Derwent to the sea via visual mastery, and then on to the distillery house itself to see our world class and lovely created spirits as they are produced… there may even be a visit from another very special spirit! Your booking will include a tour from one of our professional tour guides who will be able to answer any of your questions and a tasting session of three spirits – The ONE, The Lakes Gin and The Lakes Vodka. A unique opportunity to see the last working full lead crystal glassware factory in England. Cumbria makes the finest quality UK crystal on the market and is sold to top retailers and used by British Ambassadors worldwide. View our craftsmen at work free of charge and browse in our factory shop which has a huge range of unique crystal glasses, decanters, jugs, tumblers and giftware at discount prices. Cumbria Crystal also runs short courses for participants of any experience from glass cutting to creative sandblasting. Group organisers are admitted free of charge on both the sail and the attraction. Drivers’ incentives are also available. 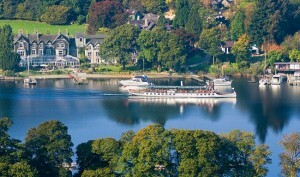 Visit www.windermere-lakecruises.co.uk/groups for the latest on group fares. The “Grand Circular Victorian Tour’’ was used in the 1860s to integrate steam and boat services around the Lake District. The tour will be accompanied by a National Trust Victorian Period costumed guide, to interpret the journey as it would have been taken by the early Victorian Visitors to the Lake District (and originally promoted by the Furness Railway Company in 1896 – 1918). Passengers will start their day-long experience by stepping aboard a lovingly-restored vintage steam train on the Lakeside & Haverthwaite Steam Railway. They will chug three and a half miles into the picturesque Leven Valley on part of the Old Furness Line, accompanied by a knowledgeable guide in full period costume. 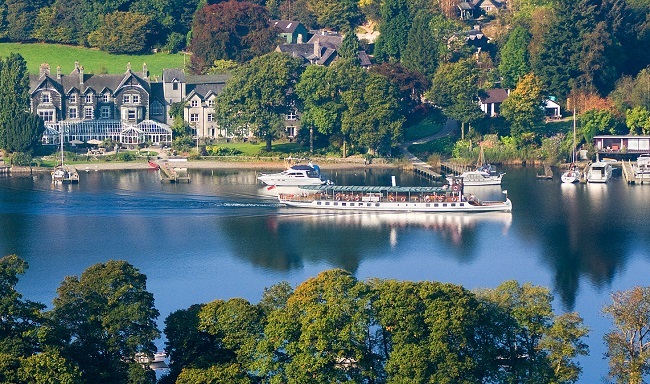 Arriving at Lakeside, at the southern end of England’s longest lake, they can enjoy two leisurely cruises on a historic Windermere Lake Cruises ‘steamer’ and a traditional wooden launch, before taking a stroll to the newly restored Victorian Viewing Station at Claife – for superb views and a ‘ferryman’s lunch’. Then it’s time to board a Mountain Goat minibus for the short trip to Coniston and a cruise back in time on the Steam Yacht Gondola. Originally built in 1859 by the Furness Line Railway Company, the Gondola’s opulent saloons and open air decks are the ultimate re-creation of the journey taken by early Victorian visitors to the Lakes. Passenger round-off the day with a final scenic trip on a Mountain Goat minibus. The bookings during these pilot tours will be undertaken by the National Trust’s Bookings Office (015394 32733). Costs £110 per person, for the experience for the day. 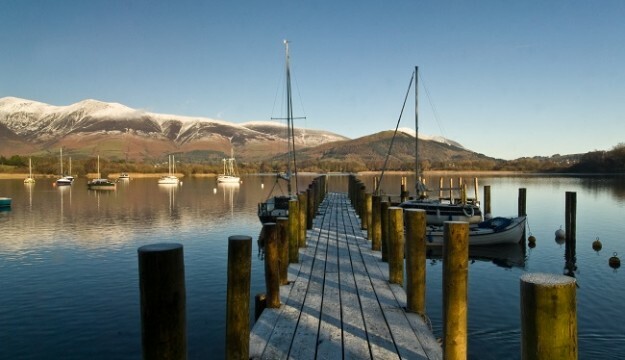 A vibrant group of 33 unique heritage attractions, located in and around the Lake District, is breathing life into the past, to make it intriguing for the group travellers of today, by providing a tempting taster of the quirky, intriguing and must-see things its members have on offer. Cumbria’s Living Heritage (www.cumbriaslivingheritage.co.uk) has produced a fabulous ‘Heritage Past-Port’ that is encouraging groups from around the world to have a foraycation – diving into the past, to have tremendous fun, here and now, in 2016. The Heritage Past-Port, downloadable from the website for free, highlights the things the various attractions don’t necessarily shout about. It contains elevator pitches for all 33 Cumbria’s Living Heritage attractions, packing each with quirky and intriguing titbits, details of superlatives and diminutives, where they exist, and some good old name-dropping, for groups interested in famous historic characters, personalities, gardeners and artists. Groups are invited to head to Cumbria and the Lake District to get on the trail of things such as a letter written in the ‘hand of God’, the 21 fruits of pommology, a bee penthouse and a 700-year-old cat. They can also track down places associated with Beatrix Potter in her 150th anniversary year, focus on speed demons, Sir Malcolm and Donald Campbell, and head to locations associated with England’s most renowned poet, William Wordsworth. This depends on whether they have time, as there are also names such as Chippendale, Gillows, Schwitters and William Morris, to discover. School groups can use the Past-Port to engage in missions such as finding marks on pillars where weary monks fell asleep with candles), exploring a Faerie Glen and spotting a rabbit smoot, bee bole and hogg hole. Whilst eating their packed lunch, they can look out for red squirrels, and if playing in an adventure playground, they can keep an eye out for an osprey. The Past-Port also invites groups to discover more about interesting things such as the 17th century Radish Feast and the Arthurian Legend of Sir Gawain and The Greene Knights, whilst stepping into the shoes of a 19th century bobbin maker and meeting servants from the 1770s. “With England’s largest window in the Flowing Decorated Gothic Style, one of the most haunted buildings in the UK (Muncaster Castle), and the National Trust’s largest collection of medieval culinary plants, we also have superlatives to shout about,” says Cumbria’s Living Heritage spokesperson and Chair, Peter Frost-Pennington. 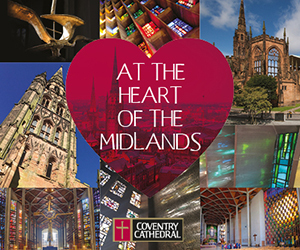 “Add to this amazing features, such as 200 herbs laid out as a medieval manuscript, a ‘Living Quilt’, a fish from the last Ice Age and a contemporary Bayeux Tapestry, and we justifiably believe we have richly rewarding and exciting days out to offer, which really shatter the image of the dusty historic experience. With our Heritage Past-Port in hand, groups can buzz around the Lake District, and beyond, seeking out all the amazing things we have highlighted, to tick them off their must-see list. Tour organisers can use a group information planning tool, at the Cumbria’s Living Heritage website, to find out which members offer guided tours, which give groups access to parts of the attraction independent travellers cannot see and which will open out-of-hours for groups. The chart also highlights where a group meet-and-greet service and free parking is available and where a free meal voucher is offered to the driver. A map at www.cumbriaslivingheritage.co.uk will assist planning and potentially allow for more than one attraction to be visited per day. Groups letting the Heritage Past-Port breathe life into the past, could be ‘presently’ surprised. 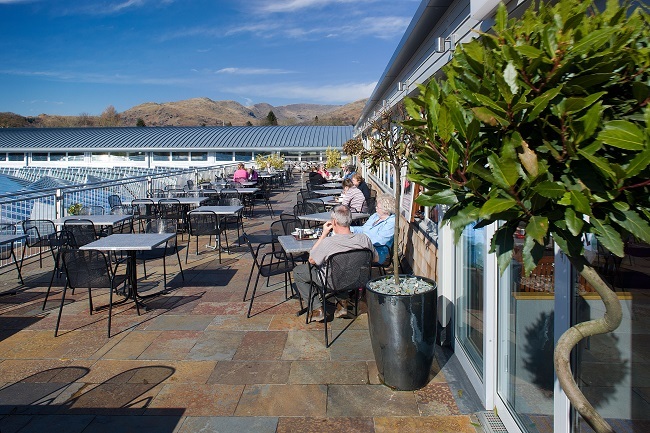 Set close to the banks of Lake Windermere in Ambleside, no visit to the Lake District is complete without making a stop at Hayes Garden World, the largest centre of its kind in the North of England. As well as truly spectacular displays of flowers and plants, Hayes Garden World offers a fabulous range of indoor shopping facilities with giftware, cards, and clothing from a wide range of suppliers including high street retailers such as The Edinburgh Woollen Mill and Cotswold Outdoor. Coaches are always welcome at Hayes, and drivers can now drop visitors right in front of the impressive glass-fronted shopping hall, with plenty of designated space for coach turning and free parking, on site. Pre-booked coach parties also receive a personal “meet-and-greet”and Drivers bringing pre-booked parties also receive a £25 gift voucher to spend as they wish. The well-appointed Four Seasons Terrace Café can comfortably accommodate over 200 diners. Pre-booked visiting groups can enjoy some great-value catering rates for anything from a coffee and a cake to a full three course meal. “Providing a great experience for group visitors is a core element of our business. 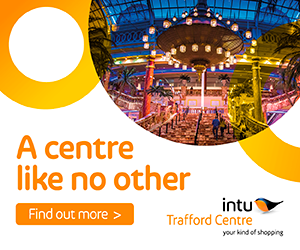 Drivers say that our new facilities, including our all-weather shopping halls, dedicated coach parking areas, and extensive restaurant, make us an ideal stop on any tour of the Lakes. It is gratifying that we are now getting lots of repeat business from some of the major coach operators and we look forward to welcoming new group visitors throughout the 2016 season”. The Lake District is the place to properly celebrate the life and works of this iconic author, illustrator, natural scientist and conservationist and there is no better way to travel than by coach. 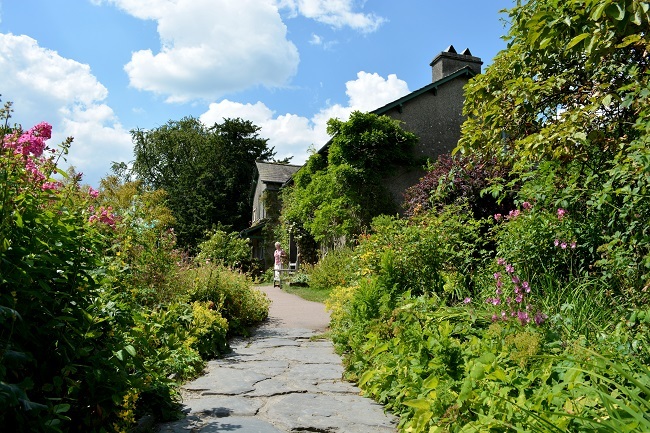 Plan your visit around one of the many special events taking place at various Beatrix Potter venues including a children’s literary festival at Wray Castle, the first place Beatrix visited in the Lake District. There are also brand new guided walks to tell the story of her life, storytelling events and of course a special birthday party on the 28th July. A vibrant family attraction bringing to life Beatrix Potter’s stories in a magical recreation of the Lake District countryside featuring Peter Rabbit. As well as the 150th anniversary of Beatrix Potter’s birth, 2016 also marks 25 years of The World of Beatrix Potter Attraction. The attraction will be hosting a number of special celebratory events alongside their normal interactive exhibitions. Explore a magical world where all 23 enchanting tales are brought to life, recreating the beautiful Lake District countryside complete with sights, sounds and smells. There’s chance to meet your favourite characters including Peter Rabbit, Mrs Tiggy-winkle and Jemima Puddle-Duck. Visitors can step into Peter Rabbit’s Garden to see the cos lettuces that Benjamin Bunny nibbled on and the gooseberry bush where Peter got caught in a net as he tried to escape Mr. McGregor! Rooms in the old servant’s quarter in the castle have been magically transformed into Peter Rabbit’s world. A place for imaginative play & exploration for the young & young at heart. Pick vegetables in Mr McGregor’s garden, plans need making in the secret treehouse & Old Brown Owl’s nest is the best spot for dreaming up your next adventure. 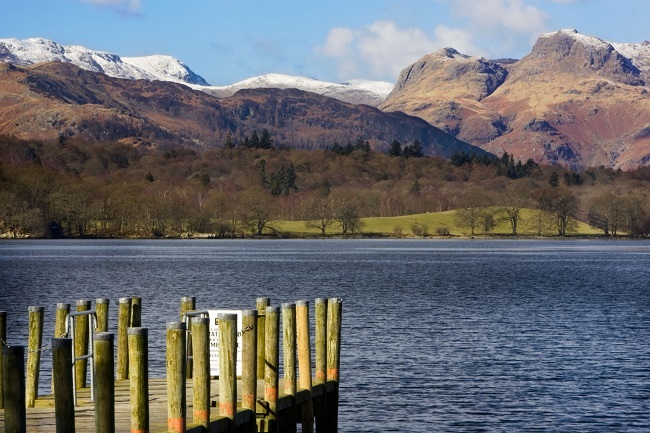 This afternoon tour takes in a Lake Cruise on Windermere, Hawkshead, Tarn Hows beauty spot and Hill Top Farm Gardens (house extra charge required not open Fridays). The Beatrix Potter Gallery contains highlights of the National Trust’s collection of original Beatrix Potter artwork. Each year there is a unique, changing exhibition displaying some classic gems and enabling you to discover dairies, letters, sketches and photos that inspired Beatrix Potter’s work. These rarely seen items, give a fascinating insight into Beatrix Potter’s life, interest and love of the Lakes. Hill Top is a time capsule of this amazing woman’s life. Full of her favourite things, the house appears as if Beatrix had just stepped out for a walk. Every room contains a reference to a picture in a ‘Tale’. Beatrix used Hill Top and its surroundings as inspiration for many of her ‘little books’ – you’ll recognise the rhubarb patch where Jemima Puddle-Duck laid her egg and the garden where Tom Kitten and his sisters played! Hill Top is a small house with a timed entry system in place to avoid overcrowding and to protect the fragile interior. It can get very busy and visitors may sometimes have to wait to enter the house. Early sell-outs are possible, especially during school holidays. 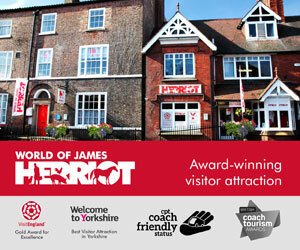 We recommend visiting at the weekends if you can. Closed Fridays for conservation work. Lindeth Howe Country House Hotel nestles on a hillside overlooking Lake Windermere, and yet is only a mile from the bustling Lake District village of Bowness on Windermere. It is set in 6 acres of sweeping gardens, with breath-taking views of the English countryside and a wonderful sun terrace. The house was once owned by Beatrix Potter, who illustrated Timmy Tiptoes and Pigling Bland here, and the hotel logo is actually in her handwriting. Buckle Yeat Guest House is situated in the village of Near Sawrey, which is an ideal location for touring the English Lake District and discovering the real Lakeland. Hill Top Farm, former home of the writer and artist, Beatrix Potter is situated almost next door to our guest house. 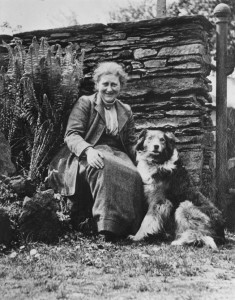 Beatrix Potter bought Yew Tree Farm in 1930. Ever the businesswoman she helped the tenant farmers set up a tea room in the parlour to serve passing hikers, providing the furniture and ornaments to decorate it from her own collection. The film ‘Miss Potter’ starring Renée Zellweger, Ewan McGregor and Emily Watson filmed at Yew Tree Farm, Coniston in April 2006. The film is the story of Beatrix Potter, the author of the beloved and best-selling children’s book, ‘The Tale of Peter Rabbit’, and her struggle for love, happiness and success. The farm was given a major makeover to look like Hill Top pre 1910. The National Trust Conservation team worked alongside the production company to make the changes – and to reverse them once filming was completed. In the orchard to Beatrix Potter’s former holiday home at Lakefield, Near Sawrey, this romantic and luxurious cottage retreat commands a simply breathtaking view over Esthwaite Water (featured in the author’s story of ‘Jeremy Fisher’) to the Lake District mountains beyond. There is an undeniable fairytale magic to this location, which continues in all the immediately surrounding areas. Only a stroll away you’ll find the Tower Bank Arms; a National Trust owned pub with a roaring open fire. Only a mile away you’ll find picturesque Hawkshead village. This traditional 17th Century Lakeland Inn is situated in the village of Near Sawrey. Many of the illustrations in the famous Beatrix Potter books can be traced back to their origins here, including the Tower Bank Arms, which is featured in The Tales of Jemima Puddleduck. Hilltop, Beatrix Potter’s former home, is situated just behind the pub. Sawrey House Hotel offers you a very special combination of comfort and elegance set amidst the stunning beauty and tranquillity of the Lakeland fells. Located in the heart of the English Lake District, this splendid Victorian country house nestles in the pretty village of Near Sawrey and looks down over 3 acres of gardens to breathtaking views of Esthwaite Water and Grizedale Forest.